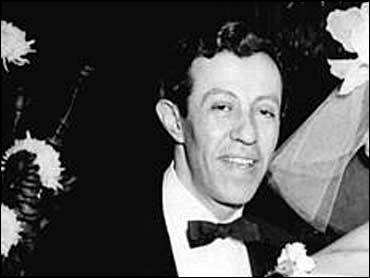 Adolph Green, a lyricist whose six-decade collaboration with Betty Comden helped create such joyous stage celebrations of New York as "On the Town" and "Wonderful Town" as well as the classic movie musical "Singin' in the Rain," has died. He was 87. Green died at home in Manhattan late Wednesday, his son, Adam, said Thursday. On Broadway, Comden and Green (the billing was always alphabetical) worked most successfully with composers Leonard Bernstein, Jule Styne and Cy Coleman. The duo wrote lyrics and often the books for more than a dozen shows, many of them built around such stars as Rosalind Russell, Judy Holliday, Phil Silvers, Carol Burnett and Lauren Bacall. Their best lyrics were brash and buoyant, full of quick wit, best exemplified by "New York, New York," an exuberant and forthright hymn to their favorite city. Yet the songwriters' biggest pop hits — "The Party's Over," "Just in Time" and "Make Someone Happy" — were simple, direct and heartfelt. It was "On the Town," a musical comedy expansion of Jerome Robbins' ballet "Fancy Free," that introduced Comden and Green to Broadway in 1944. The story of three sailors on a 24-hour leave in wartime New York was tailor-made for the time. The music was by Bernstein, an old friend of Green's. Comden and Green wrote the book and lyrics, and included two plum roles for themselves. It wasn't the only time they combined performing and writing, most notably in their two-person show "A Party with Betty Comden and Adolph Green," first done on Broadway in 1958 and periodically revived over the years. They won five Tony Awards, with three of their shows — "Wonderful Town," "Hallelujah, Baby!" and "Applause" — winning the top prize for best musical. The duo received Kennedy Center honors in 1991. On film, their most celebrated work was the screenplay for "Singin' in the Rain" (1952), considered by many to be the finest movie musical ever made. The story of the silent movie industry's transition to talkies starred Gene Kelly, Debbie Reynolds and Donald O'Connor. In 1953, they had another film hit with "The Band Wagon," starring Fred Astaire and Cyd Charisse. That same year, Comden and Green reunited with Bernstein on Broadway for "Wonderful Town," a musical version of "My Sister Eileen." Russell scored a personal triumph as plain-Jane magazine writer Ruth McKenny. Edie Adams was her winsome sister Eileen. A succession of collaborations with Styne followed, including the 1954 Mary Martin "Peter Pan," in which the pair were brought in to augment an already existing score; "Bells Are Ringing" (1956), written specifically for Holliday; and "Do Re Mi" (1960), a raucous look at the jukebox industry that featured Silvers and comedian Nancy Walker. One of their biggest Broadway successes was "Applause" (1970), a show for which they wrote the book but not the lyrics. The two did an expert job tailoring the film "All About Eve" to the talents of Bacall. And with Coleman, they wrote "On the Twentieth Century" (1978), which starred John Cullum, Madeline Kahn and Imogene Coca. Comden and Green had their share of stage flops, too, most famously "A Doll's Life" (1982). It was a misguided attempt to figure out what Nora did after she slammed the door and walked out on her husband in Ibsen's "A Doll's House." The musical ran just five performances. Their longest-running show, "The Will Rogers Follies," opened in 1991, a Ziegfeld-styled retelling of the life of the famous humorist. Keith Carradine played Rogers in the lavish production directed by Tommy Tune with music by Coleman. Green was born in 1914 — some references give a later date — in the Bronx, the son of Daniel and Helen Green. After high school, he worked as a runner on Wall Street as he tried to make it as an actor. He met Comden through mutual friends in 1938 while she was studying at New York University. They formed a troupe called the Revuers, which performed in the Village Vanguard, a club in Greenwich Village. Out of necessity, Comden and Green began writing their own material. Among the members of the company was a young comedian named Judy Tuvin, who changed her name to Judy Holliday when she got to Hollywood. After "On the Town," Comden and Green's next two musicals, "Billion Dollar Baby" (1945) and "Bonanza Bound" (1947) were not successful. Discouraged, they left for California where they found a home at MGM. There, they wrote screenplays for "Good News," starring June Allyson and Peter Lawford, and the film version of "On the Town," which scrapped most of Bernstein's melodies in favor of music by Roger Edens. The film even sanitized the lyrics to "New York, New York." Yet the movie, starring Frank Sinatra and Gene Kelly, was a huge hit. More recently, Comden and Green participated in the unsuccessful Broadway revival of "On the Town" in 1998, and streamlined the book for a version of "Die Fledermaus" for the Metropolitan Opera that same year. And last year, there was a short-lived revival of "Bells Are Ringing," with Faith Prince in the Holliday role. Green married actress Phyllis Newman, who had been Holliday's understudy in "Bells Are Ringing," in 1960. He is survived by his wife, son and a daughter, Amanda. Funeral arrangements were incomplete.